First up, though, we'll take a look at March on Fox Movie Channel. February was the most interesting Fox Movie Channel schedule in several months, and I'm glad to say that the March schedule is also a good one, including some films which haven't been shown on the network in quite a while. ...On Friday, March 1st, Saturday, March 2nd, and Sunday, March 3rd, Fox is showing VOYAGE TO THE BOTTOM OF THE SEA (1961). I thoroughly enjoyed this Irwin Allen film, which stars Walter Pidgeon, Robert Sterling, Joan Fontaine, Barbara Eden, and Peter Lorre. I definitely recommend taking advantage of one of the multiple showings this weekend; it's colorful fun. ...Also shown on the 2nd: Irwin Allen's THE LOST WORLD (1960), with Michael Rennie, Jill St. John, Claude Rains, and Fernando Lamas. 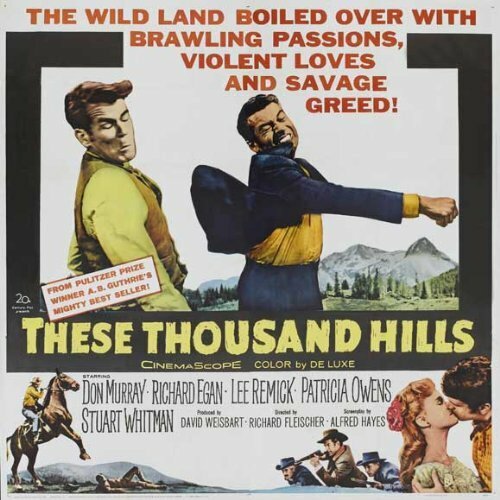 ...A group of Westerns airing on the 8th includes THESE THOUSAND HILLS (1959), which comes recommended by Blake Lucas, a regular commenter here. It stars Don Murray, Richard Egan, Lee Remick, and Patricia Owens. As a side note, hopefully Fox will show it and other widescreen films letterboxed this month. I was very happy when UNTAMED (1955) was shown letterboxed in February, as the last time I recorded it from Fox it was shown in pan and scan. ...Saturday, March 9th, Fox will be showing MARGIE (1946), I believe for the first time in a few years. (It aired on TCM on Christmas Eve in 2011.) MARGIE is a wonderful piece of Americana starring Jeanne Crain. Highly recommended. ...Several other films with women's names as the titles are featured on the 9th, including CLAUDIA (1943) and VICKI (1953). It's an excellent movie day on Fox. 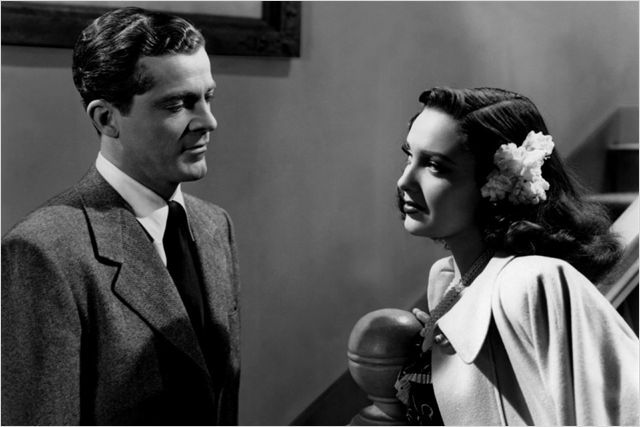 ...FALLEN ANGEL (1945) is a favorite noir with Dana Andrews, Alice Faye, and Linda Darnell. A number of scenes were filmed on location here in Orange County, in the city of Orange. It's on March 10th. ...If recent mentions of the Tyrone Power noir NIGHTMARE ALLEY (1947) have you intrigued, you're in luck: it airs on Fox on March 11th. 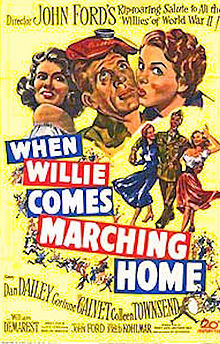 ...A lesser-known John Ford film, WHEN WILLIE COMES MARCHING HOME (1950), airs on March 12th. It stars Dan Dailey, Corinne Calvet, Colleen Townsend and William Demarest. ...PRINCE VALIANT (1954) is on March 14th. The all-star cast includes James Mason, Janet Leigh, Robert Wagner, Sterling Hayden, Debra Paget, Victor McLaglen, Donald Crisp, Brian Aherne, and Tom Conway. 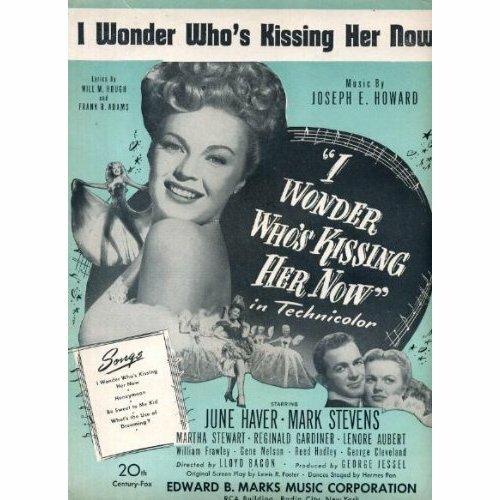 ...My mom is a big fan of THE MAN WHO NEVER WAS (1956), airing March 15th. 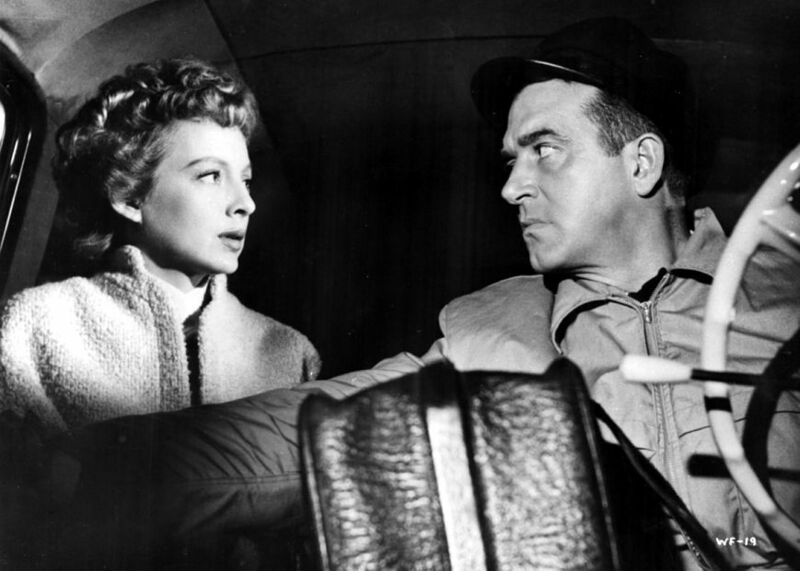 This WWII suspense film stars Clifton Webb and Gloria Grahame. 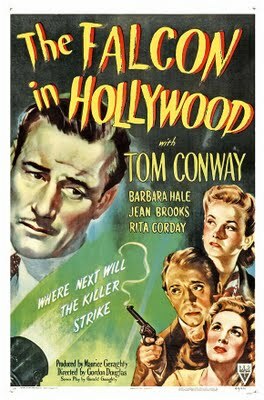 ...On the 17th, the excellent schedule includes DAISY KENYON (1947) with Joan Crawford, Dana Andrews, and Henry Fonda. You can also see Rex Harrison and Maureen O'Hara in THE FOXES OF HARROW (1947); it's fitting an O'Hara film is being shown on St. Patrick's Day! ...March 18th includes Gregory Peck and Jennifer Jones in THE MAN IN THE GRAY FLANNEL SUIT (1956), followed by NO DOWN PAYMENT (1957) with Joanne Woodward, Tony Randall, Jeffrey Hunter, and Sheree North. ...On March 19th, RETURN TO PEYTON PLACE (1961) stars Jeff Chandler, Eleanor Parker, Carol Lynley, Robert Sterling, and Mary Astor. ...June Haver and Mark Stevens star in I WONDER WHO'S KISSING HER NOW (1947) on March 20th. ...March 23rd is filled with interesting titles, including Glenn Ford and Richard Conte in HEAVEN WITH A BARBED WIRE FENCE (1939), directed by actor Ricardo Cortez; John Ford's classic MY DARLING CLEMENTINE(1946); and TWO FLAGS WEST (1950) with Joseph Cotten, Linda Darnell, Jeff Chandler, Cornel Wilde, and Dale Robertson, who just passed on. ...Dale Robertson also appeared in TAKE CARE OF MY LITTLE GIRL (1951), an entertaining Jeanne Crain film about problems in a college sorority. Jean Peters and Jeffrey Hunter costar; it was directed by Jean Negulesco. The air date is March 26th. ...THAT NIGHT IN RIO (1941) is a great deal of fun, starring Don Ameche, Alice Faye, and Carmen Miranda. It's on the 29th. On that date Miranda also stars in SOMETHING FOR THE BOYS (1944), with Vivian Blaine, Michael O'Shea, and Phil Silvers. Some of the titles highlighted last month are airing again in March, and there are additional titles from the classic film era being shown as well, so be sure to check out the complete schedule. There was only time for a short movie tonight, so I chose a 59-minute programmer directed by Lew Landers, DANGER PATROL. DANGER PATROL focuses on "soup handlers," men who have the ultra-dangerous job of delivering nitroglycerin to oil fields. Dan Loring (John Beal) is an aspiring medical student who needs to put away some good money; when he reports for his first day on the job delivering nitro, his supervisor (Frank M. Thomas) shows him an empty picture frame. He tells Dan it's a photograph of what was left of a man who was careless on the job. 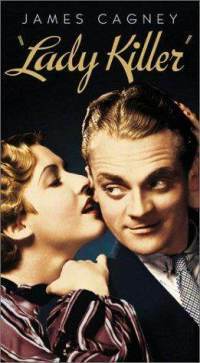 Dan is trained by Easy (Harry Carey Sr.) and falls in love with Easy's daughter Cathy (Sally Eilers), but Sally won't have anything to do with a man who's likely to make her a widow soon after making her a wife. As it is, she's spent years worrying about her father and watching the anxiety of women like Nancy (Lee Patrick), who's constantly on edge about the safety of her husband (Edward Gargan). This Landers film is so-so, not on a level with Landers' best "B" films, but worth a look. The unusual subject matter is interesting to learn about, and the film is helped along by good performances by pros like Patrick, Thomas, and Carey. The lead romance, however, is on the dull side. Poor Sally Eilers -- also seen in Landers' WITHOUT ORDERS (1936) -- doesn't get to do much more than worry and complain. She has good reason, but watching someone in constant "whine" mode is wearing after a while; it becomes a little difficult to see why Dan finds her so appealing! Although the film is reasonably absorbing, it builds to a very abrupt conclusion which leaves the viewer shaking one's head and muttering a bit. It could have used at least another five minutes to give viewers are more satisfying ending. 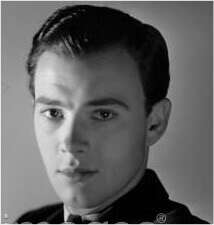 John Beal was previously seen by me in two other Landers films, THE MAN WHO FOUND HIMSELF (1937) and STAND BY ALL NETWORKS (1942). He's not an especially interesting actor, but he's believable as a potential med student trying to make a big income fast. The cast also includes Paul Guilfoyle, Crawford Weaver, and Solly Ward; way down in the cast you can find Bruce Bennett, then billed as Herman Brix. 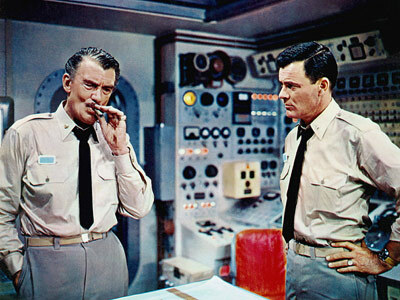 DANGER PATROL has been shown on Turner Classic Movies. It's not available on DVD or VHS. 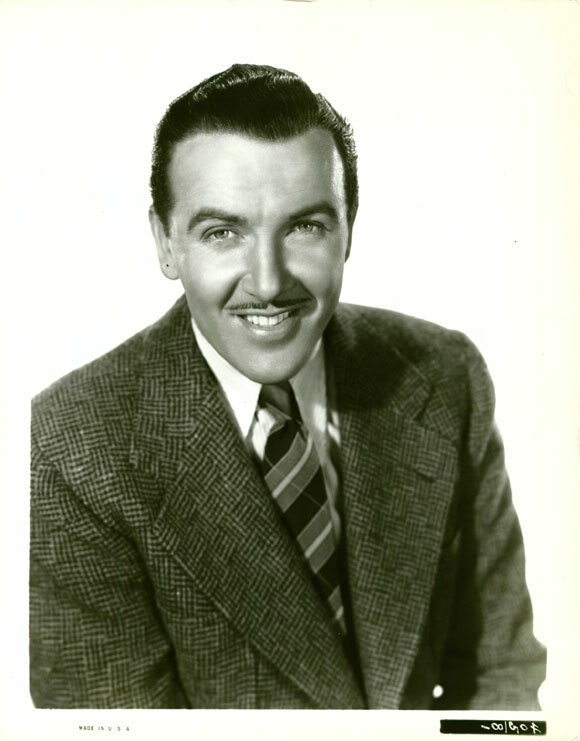 Films directed by Lew Landers which have previously been reviewed at this site: NIGHT WAITRESS (1936), WITHOUT ORDERS (1936), FLIGHT FROM GLORY (1937), THEY WANTED TO MARRY (1937), THE MAN WHO FOUND HIMSELF (1937), DOUBLE DANGER (1938), CRASHING HOLLYWOOD (1938), SKY GIANT (1938), SMASHING THE RACKETS (1938), TWELVE CROWDED HOURS (1939), CONSPIRACY (1939), STAND BY ALL NETWORKS (1942), THUNDER MOUNTAIN (1947), DAVY CROCKETT, INDIAN SCOUT (1950), and MAN IN THE DARK (1952). I took a break from work and enjoyed a beautiful time at Disneyland this morning! The park offered annual passholders a special "Limited Time Magic" event today, a free screening of PETER PAN (1953) in the Opera House. Although I just saw PETER PAN at the El Capitan last month, I was happy to have the chance to watch it again with friends today, and I enjoyed the novelty of watching a feature film inside the park. It was very enjoyable; my only criticism is that a projectionist seemed to be asleep at the switch, as part of the picture was below a scrim at the bottom of the screen, while there was blank space at the top of the screen. All that needed to happen for projection perfection was for someone to tip the projector up a bit. Southern California experienced a couple cold and rainy weeks in February, but it was a gorgeous day today, a reminder that spring is just around the corner. Fantasy Faire is still behind construction walls! It officially opens on March 12th, and if possible I'm going to visit the park that day. Photos of sketches and models of Fantasy Faire can be found in my post of February 15th. 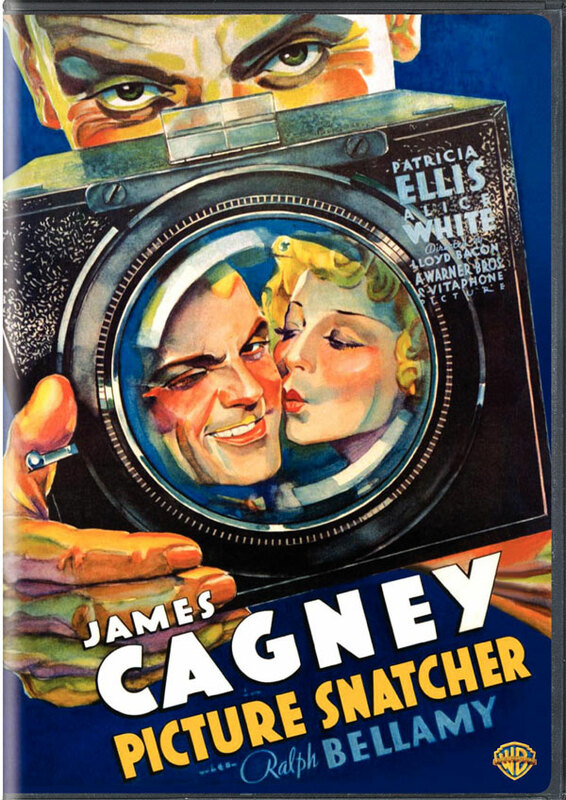 PICTURE SNATCHER was my third James Cagney pre-Code of the week, following BLONDE CRAZY (1931) and LADY KILLER (1933). Like those films, it provided solid, fast-paced entertainment. Cagney plays Danny Kean, who gets out of a three-year stint in Sing Sing and decides to go straight. He's always had a yen to be a newspaperman, and City Editor J.L. McLean (Ralph Bellamy) gives him a chance to make good at a tabloid newspaper. It's strictly a lowbrow paper with a rep for printing gossip and tacky photos, but Danny does well and is on his way to a successful career in the news business. In his spare time he fends off the saucy gossip reporter (Alice White) who's supposed to be his boss's girl and courts the lovely daughter (Patricia Ellis) of the cop (Robert Emmett O'Connor) who sent him to jail. Danny runs into trouble, however, when he wangles his way into a death row execution and sneaks a photo. (This was based on a real-life incident involving the New York Daily News.) It's quite a scoop, but it also makes him persona non grata in the "respectable" journalistic community and with his girlfriend's father. 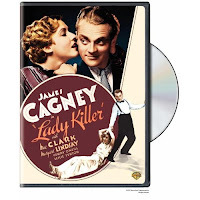 This movie is what a good Warner Bros. pre-Code is all about, rough-edged, funny, mildly racy, and sometimes shocking -- Cagney is much harder on Alice White in this than he was on Mae Clarke in THE PUBLIC ENEMY (1931) or LADY KILLER. 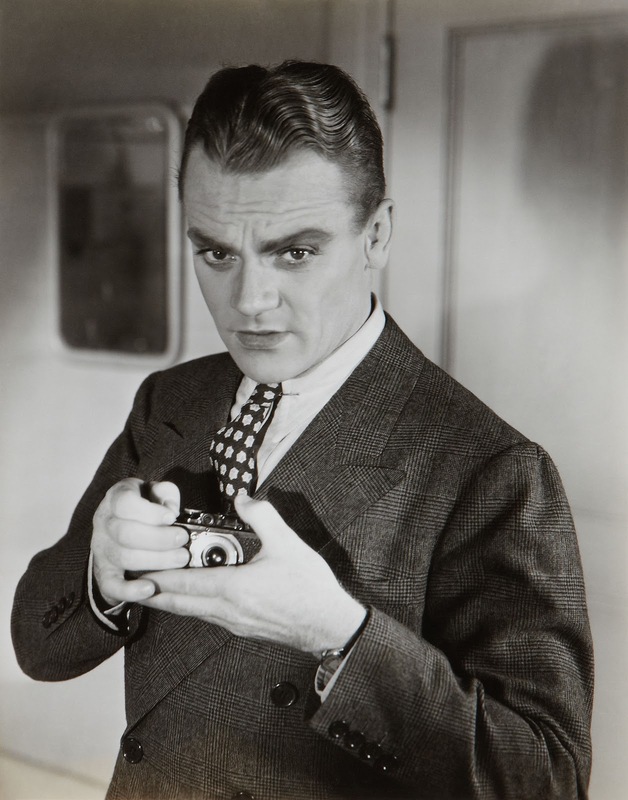 Cagney is for the most part rambunctious but appealing, playing a guy who genuinely wants to have a legit career and who falls in love with the kind of woman who's a good influence. He's always interesting to watch, playing a man who thinks and talks a mile a minute -- which is sometimes too fast, as acting before he thinks gets him into trouble. Bellamy is also effective as the hard-drinking but kind editor who treats Danny fairly even when his girlfriend threatens to come between them. White is a scene-stealer as the flamboyant Allison, who makes no secret of wanting Danny. 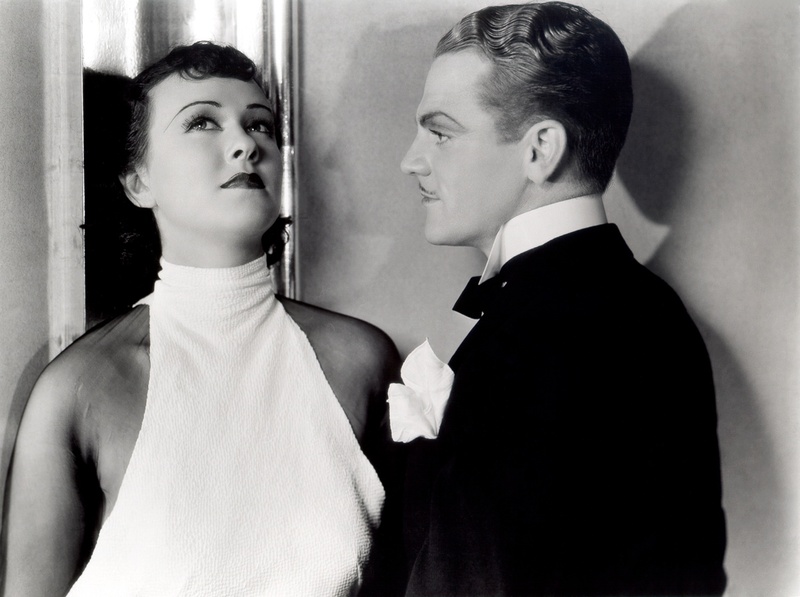 I really enjoyed Patricia Ellis as Cagney's sweet college student girlfriend. She was only 16 when this was filmed, but is believable as someone a couple three years older. I think the only film I've seen her in previously was STRANDED (1935). 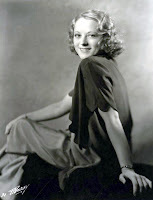 She retired from the business in 1939, married in 1940, and passed on in 1970. PICTURE SNATCHER was directed by Lloyd Bacon and filmed by Sol Polito. It runs 77 minutes. The supporting cast includes Robert Barrat, Sterling Holloway, Hobart Cavanaugh, George Chandler, G. Pat Collins, and Arthur Vinton. 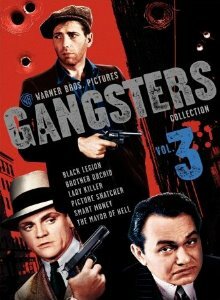 PICTURE SNATCHER is available on DVD as a single title or as part of the Warner Gangsters Collection, Vol. 3. 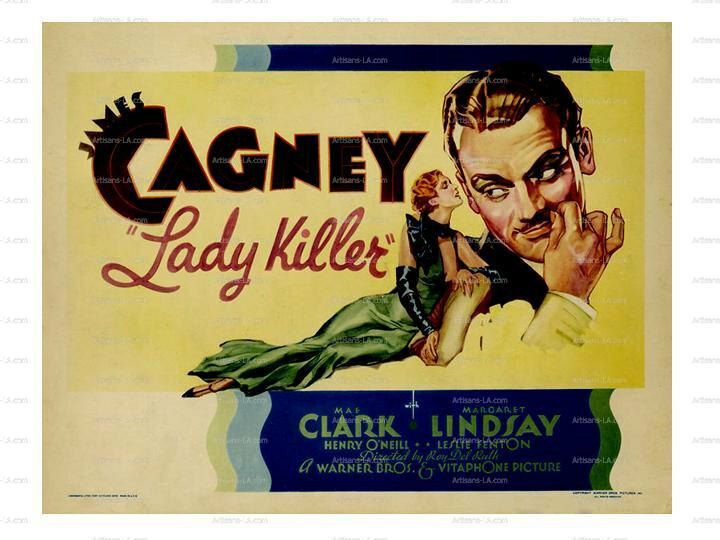 (The set also includes Cagney's LADY KILLER.) The DVD can be rented from Netflix or ClassicFlix. 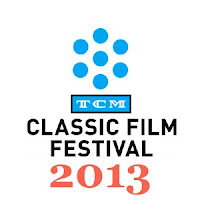 The movie is also shown on Turner Classic Movies. 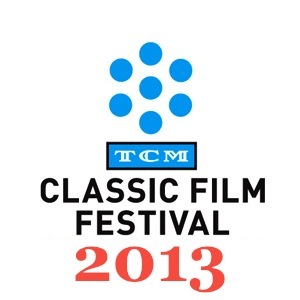 The trailer is online at the TCM site. THE FALCON IN HOLLYWOOD is an especially entertaining entry in the long-running series, notable for a bevy of lovely leading ladies, a fun cameo, and a lengthy tour of the RKO Studios lot. Tom Lawrence, aka the Falcon, is relaxing at the racetrack when he meets up with a gorgeous but nutty numerologist (Rita Corday) and a pretty young movie actress (Barbara Hale), not to mention the actress's shady former employer (Sheldon Leonard). 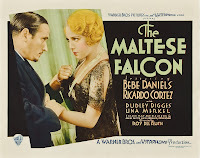 The Falcon attempts to help the ladies when there's a mix-up with their purses, and that leads him to a fast-driving lady cabbie (Veda Ann Borg) and then a movie studio murder, with one of the suspects being a costume designer (Jean Brooks). A pair of L.A. cops (Emory Parnell and Frank Jenks) are constantly on the Falcon's tail, always just a bit slow to catch up with the latest developments. I found this movie to be a great deal of fun. Like Lew Landers' CRASHING HOLLYWOOD (1938) a few years before, it's filmed all over the RKO lot, masquerading this time around as "Sunset Pictures." The settings include the prop and miniatures departments along with random walkways and soundstages. 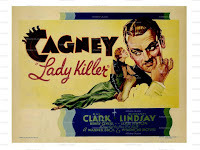 I noted that it feels like a more authentic peek at moviemaking than the recently seen LADY KILLER (1933). Be watching for a hilarious cameo which I almost missed. 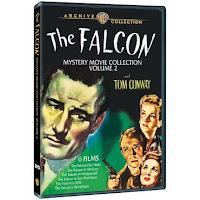 During the scene where Tom is arguing with the studio guard for admission onto the lot, Conway's real-life brother, previous FALCON star George Sanders, walks past them; he's wearing a hat and turns his head away from Conway with a sly smile. He's so close to the camera it's almost difficult at first to realize it's him if you're not watching carefully. There's also an ultra-obvious blooper: Early on in the film, the taxi driver takes the Falcon on a wild ride to Sunset Pictures, with him sliding around in the backseat, yet when they pull up at the gate, he's driving and she gets out of the backseat! Either a scene was cut where the Falcon insisted on taking over the wheel or the filmmakers completely lost track of continuity there. One of the murders in the film takes place inside the empty Los Angeles Memorial Coliseum. There's not really much story reason for the scene to take place there, but the location shoot adds some visual interest. This was Barbara Hale's second FALCON film; she had previously starred as a different character in THE FALCON OUT WEST (1944). Rita Corday and Jean Brooks were FALCON veterans; before the series came to an end they would each appear in half a dozen FALCON entries apiece, never as the same character. I sometimes wonder if the same faces appearing over and over was confusing for audiences who saw these films as they were released! I imagine, though, audiences became used to it, just as actors would later play different roles in episodic TV series. 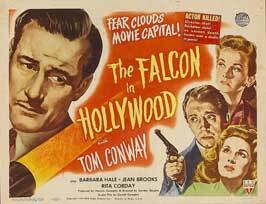 THE FALCON IN HOLLYWOOD was directed by Gordon Douglas. It was the only film he directed in the series. Photography was by Nicholas Musuraca; it was also his only work in the series. The movie runs 67 minutes. THE FALCON IN HOLLYWOOD was just released on DVD in the Warner Archive's remastered The Falcon Mystery Movie Collection, Vol. 2. It's also available on Region 2 DVD in Europe. 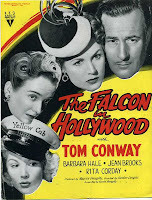 Reviews of the earlier films in the series: THE GAY FALCON (1941), A DATE WITH THE FALCON (1942), THE FALCON TAKES OVER (1942), THE FALCON'S BROTHER (1942), THE FALCON STRIKES BACK (1943), THE FALCON IN DANGER (1943), THE FALCON AND THE CO-EDS (1943), THE FALCON OUT WEST (1944), and THE FALCON IN MEXICO (1944). 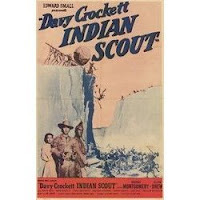 DAVY CROCKETT, INDIAN SCOUT, was made by a favorite low-budget director, Lew Landers, and has appealing lead actors in George Montgomery and Ellen Drew. I was thus predisposed to like the film, but this mildly entertaining "B" Western was so cheaply made that the poor production values are downright distracting, and in all honesty the dramatic elements aren't much better. 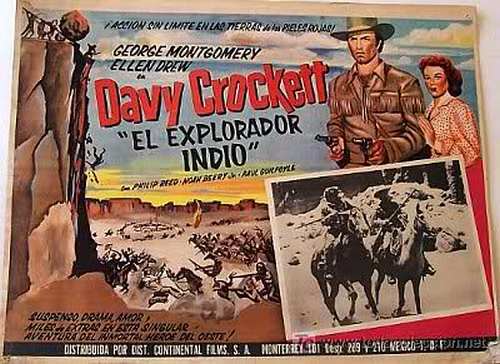 Montgomery plays one Davy Crockett, who isn't the famous Davy Crockett of the Alamo, but a relative. It's the 1840s, and Davy is helping to guide settlers west along with his childhood friend, Red Hawk (Philip Reed). Drew plays Frances, a teacher who joins the wagon train but isn't quite who she seems to be. Neither is her supposedly deaf-mute driver, Ben (Landers "regular" Paul Guilfoyle). 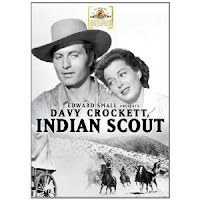 There's spying and Indian battles and of course the wagon train eventually reaches its destination (if that's a surprise, you haven't seen enough "B" Westerns). The leads do what they can, but some of the actors seem more like they're in a high school play than a nationally released movie; it doesn't help that some of their dialogue is pretty bad, too. 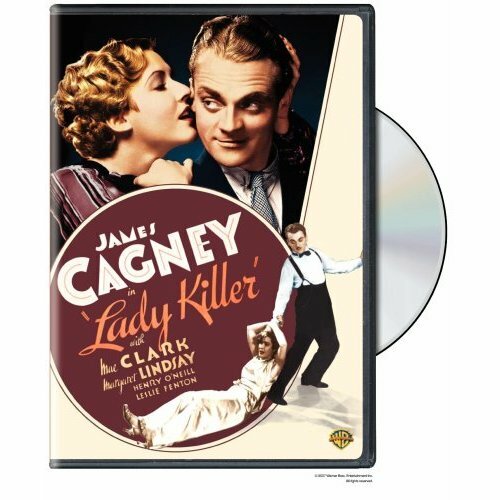 The Indians wear awkwardly shaped, stiff wigs which are pretty much just like what was slapped on James Cagney's head when he was playing an extra playing an Indian in LADY KILLER (1933). I suspect a high school theatrical department could actually do better in that regard. As for the other production values...what production values? There's lots of stock footage of places like Monument Valley, but the actors probably never got any further than Iverson Ranch, if they even went that far. Many of the scenes were done with ultra-obvious painted backdrops, and still more with back projections. Most egregious are battle scenes where the action cuts from the settlers with their guns to stock footage of approaching Indians, but the two groups never meet on screen! There's just the occasional arrow flying into the camp. This film probably had a lower budget than another ultra-cheap Western I saw last year, Bill Williams' THE WILD DAKOTAS (1956). I've enjoyed any number of Westerns regardless of phony backgrounds if the stories were compelling, but the storyline and performances were just...awkward. The best performance in the film was by Noah Beery Jr., who is natural and lets fly with the best dialogue in the movie. He's funny, and it's a relief whenever he comes on screen. I'm afraid this is one that the other actors would probably just as soon have erased from the memory banks. The supporting cast also includes Robert Barrat, Addison Richards, Billy Wilkerson, Ray Teal, Iron Eyes Cody, and Chief Thundercloud. Cinematography was shared by George Diskant and John J. Mescall. The movie runs 71 minutes. Kristina featured Philip Reed in an interesting profile at Speakeasy a while back. He bounced around in the film business for decades and was in many movies I've seen, yet to this point I still have trouble connecting his name and face. I watched this United Artists release on a "manufactured on demand" DVD-R from MGM. It can be rented from ClassicFlix. DAVY CROCKETT, INDIAN SCOUT has also been shown on Turner Classic Movies. It can be rented from Amazon Instant Video. A trailer is available on YouTube. Films directed by Lew Landers which have previously been reviewed at this site: NIGHT WAITRESS (1936), WITHOUT ORDERS (1936), FLIGHT FROM GLORY (1937), THEY WANTED TO MARRY (1937), THE MAN WHO FOUND HIMSELF (1937), DOUBLE DANGER (1938), CRASHING HOLLYWOOD (1938), SKY GIANT (1938), SMASHING THE RACKETS (1938), TWELVE CROWDED HOURS (1939), CONSPIRACY (1939), STAND BY ALL NETWORKS (1942), THUNDER MOUNTAIN (1947), and MAN IN THE DARK (1952). A decade before Humphrey Bogart played Sam Spade in the classic THE MALTESE FALCON (1941), the Dashiell Hammett novel was filmed with Ricardo Cortez playing the famous gumshoe. 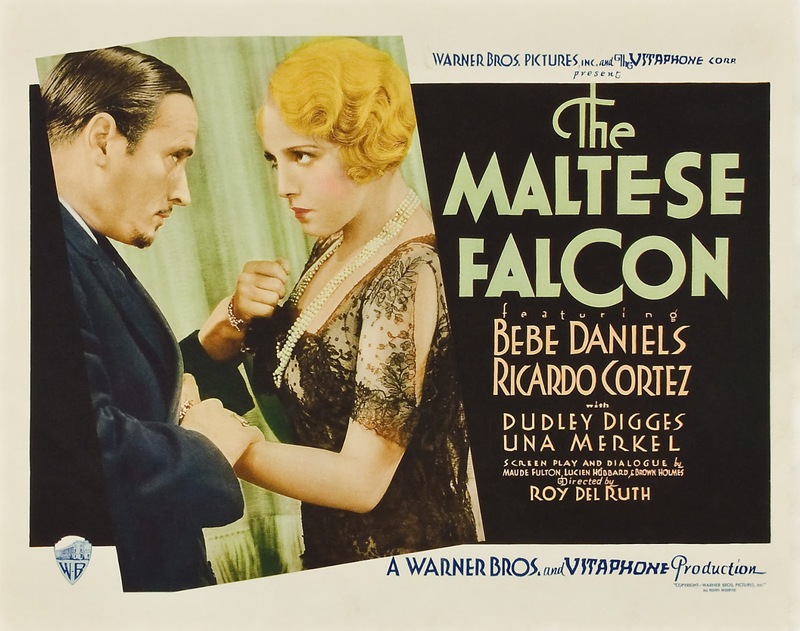 This pre-Code version of THE MALTESE FALCON is really quite good. 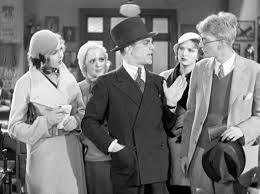 Cortez plays Sam Spade as more of a ladies' man, charming his partner's wife (the ill-fated Thelma Todd), his secretary Effie (a charming Una Merkel), and the mysterious, seductive client Miss Wonderly (Bebe Daniels). 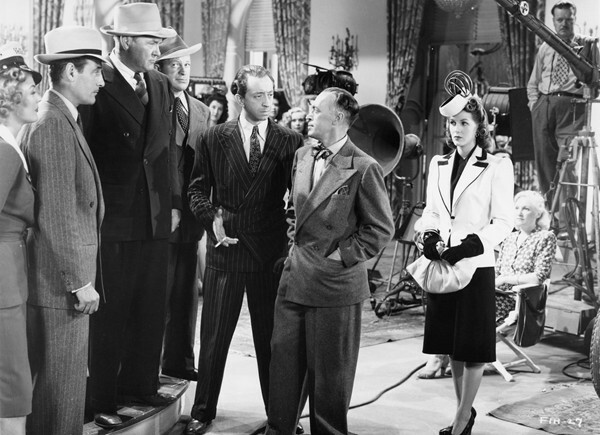 The familiar characters are all there, including Caspar Gutman (Dudley Digges), Joel Cairo (Otto Matieson), and Wilmer, the hired gun (Dwight Frye). 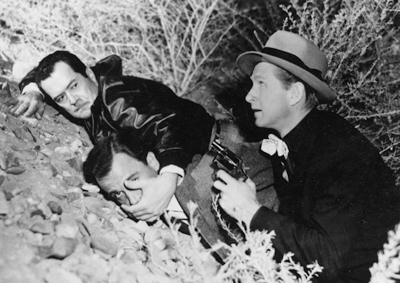 Robert Elliott and J. Farrell MacDonald play the police officers trying to solve a growing number of murders. 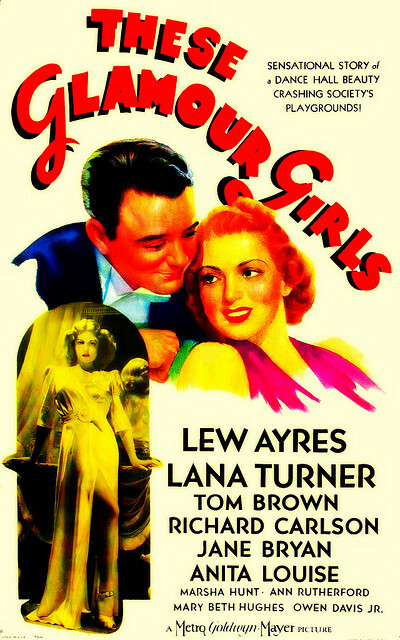 This being a pre-Code, some of the scenes are a bit surprising: The movie opens with Sam obviously having had a fling on his office sofa with an unseen woman; Sam and Miss Wonderly spend a night together; Miss Wonderly enjoys a bath (rather like Joan Blondell in BLONDE CRAZY) and is later strip-searched by Spade looking for missing money; and Spade refers to Wilmer as Gutman's "boyfriend." 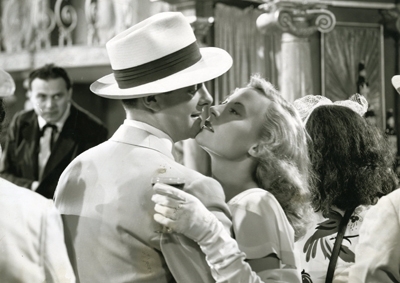 As classic film fans are aware, once Hollywood began serious enforcement of the Production Code in mid-1934, the industry pulled back from allowing slightly racy moments such as these. The film's pace slows down a tad as Sam repeatedly negotiates with Gutman and Cairo, and the ending lacks the poetry of the Bogart version, but otherwise this is a crackling, sophisticated version of the famous story which is quite entertaining. I liked Cortez as the unrepentant ladies' man who's always looking out for No. 1, and Daniels was terrific as a woman of many stories, perhaps none of them true. Merkel was also sweet as the loyal Effie; I would have enjoyed it if she'd had more screen time. This was the third film seen this week which was directed by Roy Del Ruth. He also directed LADY KILLER (1933), viewed earlier today, and BLONDE CRAZY (1931), seen last week. All three films have been fast-paced and entertaining. THE MALTESE FALCON runs 79 minutes. THE MALTESE FALCON is available on DVD in a three-disc MALTESE FALCON set or as part of the Humphrey Bogart Signature Collection Volume 3, which includes the same MALTESE FALCON discs. Along with the 1931 and 1941 versions of the film, the MALTESE FALCON set also includes a 1936 version, SATAN MET A LADY, starring Warren William and Bette Davis. There are a few issues with the print, particularly some speckles and threads in the last reel, but for the most part it looks quite good. The DVD can be rented from Netflix or ClassicFlix. 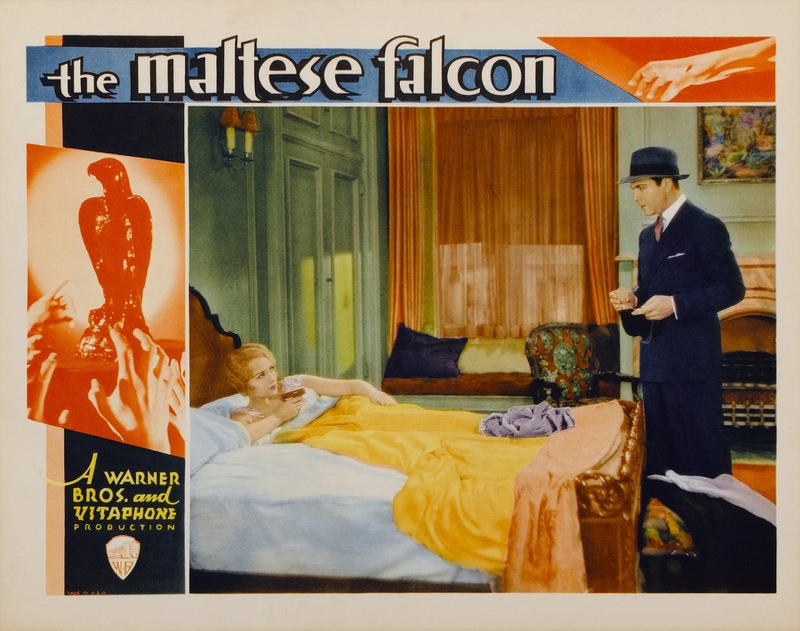 This version of THE MALTESE FALCON had a VHS release under an alternate title, DANGEROUS FEMALE. 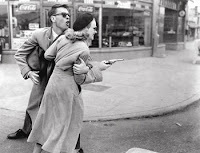 DANGEROUS FEMALE was also used as a title when it was shown on television, I assume to distinguish it from the better-known 1941 version. The movie can also be seen on Turner Classic Movies. 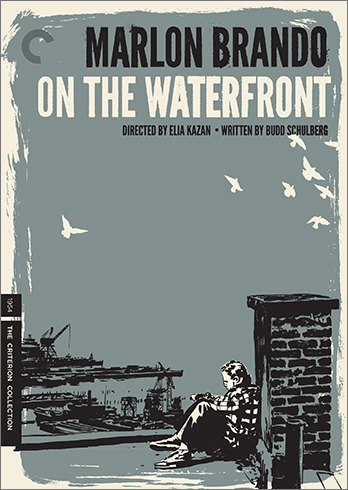 A clip from the film is on the TCM website.